Want to know more about the new Snapdragon 710 Processor? Then you’ve arrived at the right place. The Qualcomm Snapdragon 710 and the Snapdragon 700 Series is finally here. This series aims at bridging the gaps between the 600 and 800 Series. With the launch of Mi 8 SE, Xiaomi brought the first smartphone with this SOC. And there will be many upcoming phones between $300 and $600 to feature this. Want the full list and ranking of Qualcomm Snapdragon Processors? Visit here. There was a time when the processors from 600 and 800 Series were far from each other in terms of performance. 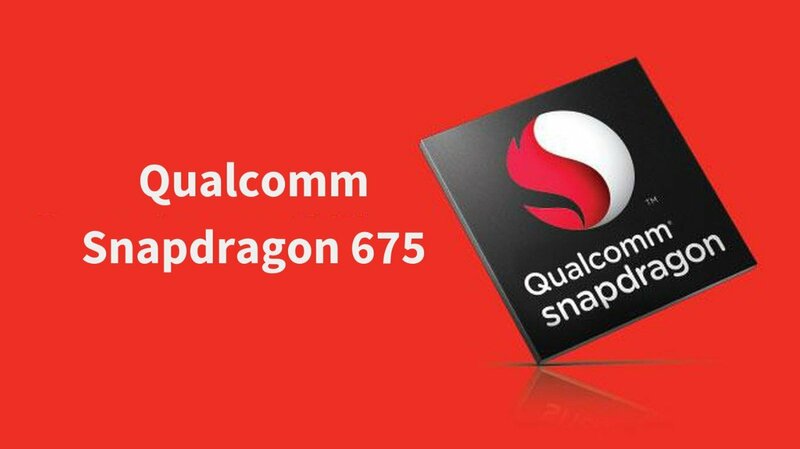 And then Qualcomm launched the Snapdragon 650 and 652 (they were initially launched as Snapdragon 618 and 620). The major difference between them and the Snapdragon 600 lineup was the high-performing Cortex-A72 cores. Later on, Qualcomm also launched the Snapdragon 653, 636, and 660 that took the performance to the next level. So, what was next? 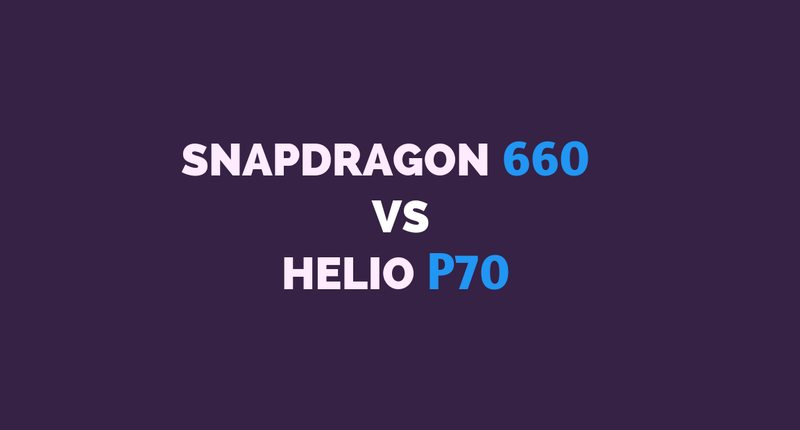 The Snapdragon 660 was indeed so powerful so instead of launching its successor as 670, they launched it as 710. The Snapdragon 710 is built on the efficient 10nm FinFET process which is the same process used in the 835 and 845. It also has the powerful Kryo 360 Cores (Semi-Custom Cortex-A75 & Cortex-A55) and a new Adreno 616 GPU that supports QHD+ (1440p) Displays. It has a multi-core AI Engine and this Mobile Platform has support for QuickCharge 4.0+ and Dual VoLTE Technology. 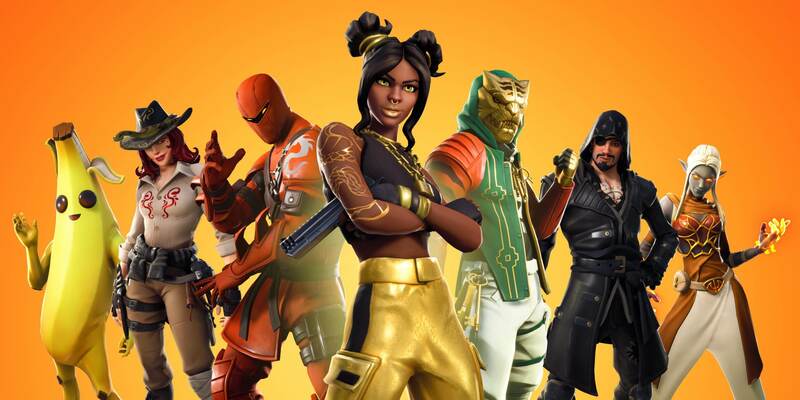 Here are the pros. of this chip. Fortunately, like every other powerful chip out there, it has no cons. It is perfect for high-end/mid-range devices and there’s nothing you can get as powerful as the SDM 710. After Snapdragon 845 and 835, Qualcomm finally brought the 10nm Manufacturing Process to the other price segments. This makes this chip efficeint and the phone is unlikely to overheat even on heavy usage. This also means that the battery will last longer. 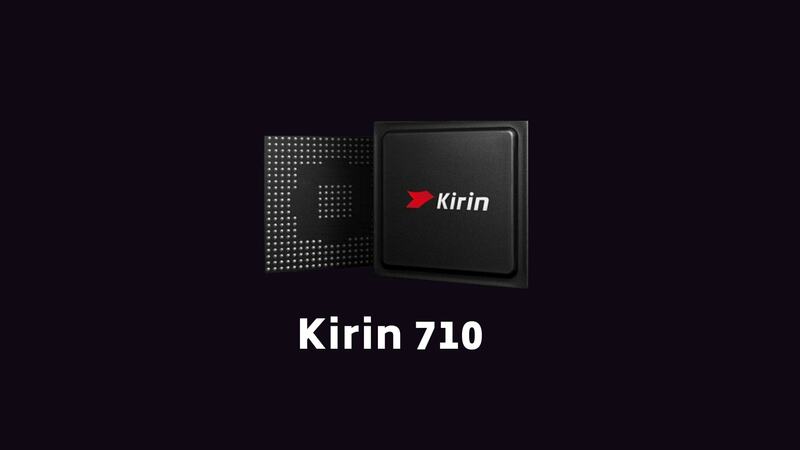 The CPU of SDM710 uses ARM’s big.LITTLE architecture and it is an octa-core CPU. It consists of two clusters. The high-power cluster consists of two Kryo 360 Gold cores (Semi-Custom Cortex-A75) while the low-power cluster consists of six Kryo 360 Silver cores (Semi-Custom ARM Cortex-A55). The high-power cluster has a clock speed of 2.2 GHz while the lower-power cluster has 1.7 GHz frequency. During heavy usage, the phone will be driven by the powerful semi-custom ARM Cortex-A75 cores but while performing basic tasks such as browsing, the low-power cluster will get active. This balances the phone’s to bring out the best performance without compromising on the power efficiency. The new Adreno 616 GPU brings in powerful graphics to your smartphone with support to the latest APIs. This ensures that gaming and rendering jobs will be done super fast. You can play your favorite games like PUBG Mobile at high resolution and graphics without any lags. The GPU supports a max display resolution of 1440p (QHD+). Just like its predecessor, the Snapdragon 710 supports Dual-Channel LPDDR4X memory. Qualcomm’s X15 LTE Modem can deliver maximum download speeds up to 800 Mbps and upload speeds up to 150 Mbps. Dual VoLTE Technology is also supported. It has the new Spectra 250 Image Signal Processor with support for a single-camera up to 32 Megapixels. This sensor also supports the Dual-Camera setups with max Camera resolution of 20 Megapixels. On Antutu Benchmarking Tool, both the Mi 8 SE and Vivo Nex A reach a gigantic score. Mi 8 SE gets 174,333 points while the Vivo nex A reaches 173,598 points. This score is even higher than the likes of Snapdragon 820 and 821. The semi-custom ARM Cortex-A75 Core carries a lot of firepower and this is evident with the Single-Core GeekBench Score. The Multi-Core score is also impressive. The Multi-Core score could have been even higher if there were four Cortex-A75 Semi-Custom CPUs instead of only two. But that’s acceptable considering that’s the first chip of the Snapdragon 700 lineup and it is already too powerful. On Centurion Mark, we have given Snapdragon 710 a score of 113 points. This is higher than that of 820 & 821 but lesser than that of 835 and 845. Considering that its a successor to the 660, the improvement definitely deserves a lot of appreciation. To know how we calculate Centurion Mark to rate processors, visit Smartphone Processors Ranking. Here’s what I feel about this chip based on its real-world performance and the features it offers to the end-user. The Xiaomi Mi 8 SE with SDM710 is extremely fast and on the same level as a flagship device. Whether you’re on stock Android or a custom UI (as long as it is bug-free and optimized), the phone will feel snappy and smooth. Applications open pretty fast and you won’t observe any lag even in heavy usage. All this is possible because of the powerful Kryo 360 Cores. For mid-range devices, this is currently the best processor one can possibly get in their phones. So, whether you’re a tech-savvy person or any general consumer, I’ll highly recommend it. The Adreno 616 is a new generation top of the line Graphics Accelerator by Qualcomm. Whether you’re a casual mobile gamer or someone who plays PUBG Mobile 6 hours a day, the Adreno 616 will take care of everything. With the 10nm FinFET Fabrication, the phone won’t heat on extended usage and the battery will last longer as compared to the phones that are fabricated using 14nm or 28nm process. This, in turn, will allow extended gaming without any hiccups. There are multiple factors that contribute to the efficiency of a chip. The most prominent factor is the Fabrication Tech (10nm) and it is already manufactured with the best technology available as of now. Hence, this processor is highly efficient. Thanks to the ARM’s big.LITTLE architecture, the processor is divided into high-power and low-power clusters and it intelligently switches between them to ensure optimal performance as per the demand. This processor also offers the latest Fast Charging Tech by Qualcomm and AI-based features. It also supports Dual VoLTE and allows both the SIM Cards on your device to use VoLTE at the same time. It also comes with the latest Bluetooth Version (5.0) and supports the Dual-Channel LPDDR4X RAM. All these features make it a complete all-rounder. In this section, I’ve compared the SDM710 with other popular processors. Hope this helps you out to know the which processor is better. SDM710 offers better Fabrication technology, CPU, and GPU Performance and it is much faster than Snapdragon 636. SDM710 is actually a sucessor of 660 and it offers better CPU, GPU Performance and better efficiency. 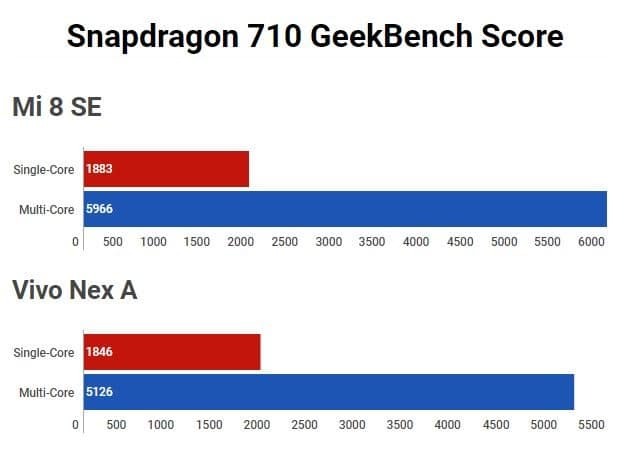 Though Snapdragon 675 defeats SDM710 in CPU Performance, it is far behind in power efficiency and GPU Performance. 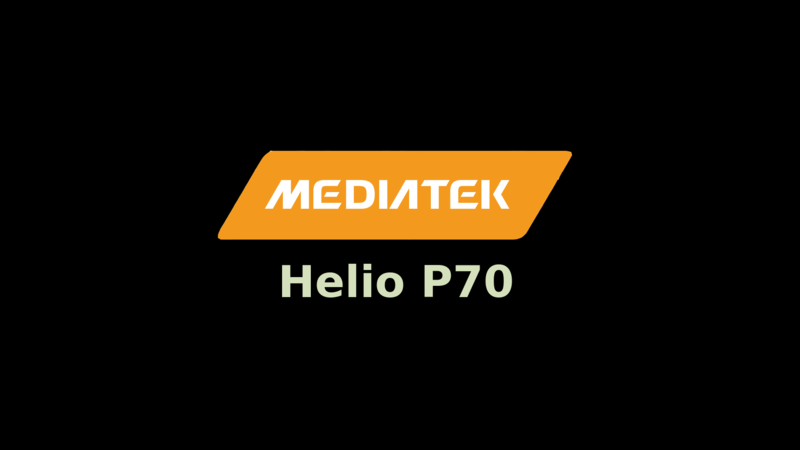 Helio P60 is behind in terms of CPU Performance, GPU, Fabrication and almost all the major aspects. The Snapdragon 845 is a flagship device and it offers better performance with the Kryo 380 Cores, Better GPU, Faster Modem and some other better features. At the end of the day, we all need a phone that is stable as well as extremely fast and does the job in microseconds. No doubt, the processor plays the biggest role but don’t ignore the other features of a device either. Before buying a phone, check out all its features and then decide based on your priority. But as far as Snapdragon 710 is concerned, that’s the best choice you can make in terms of performance and gaming. If you need suggestions for buying your next smartphone, tell me your requirements in the comments and I will get back to you at the earliest. No doubt, Providing greater value to consumers at mid’range prices ! Thanks for the detailed review Kashish. My Nokia 8 was broken and cannot be serviced. It will be launched on Dec 10th in India and Dec 5th in Dubai. Please let me know your thoughts about it. The specification on the paper seems quite good but I will recommend watching some reviews before making a purchase. I may be able to tell more after its price is announced and how it stacks up with rest of the devices.